A lesson on hysteria by André Brouillet,1887. For centuries, sleep and sleep-like states have been exploited for therapeutic, neurologic (and sometimes insidious) gains. 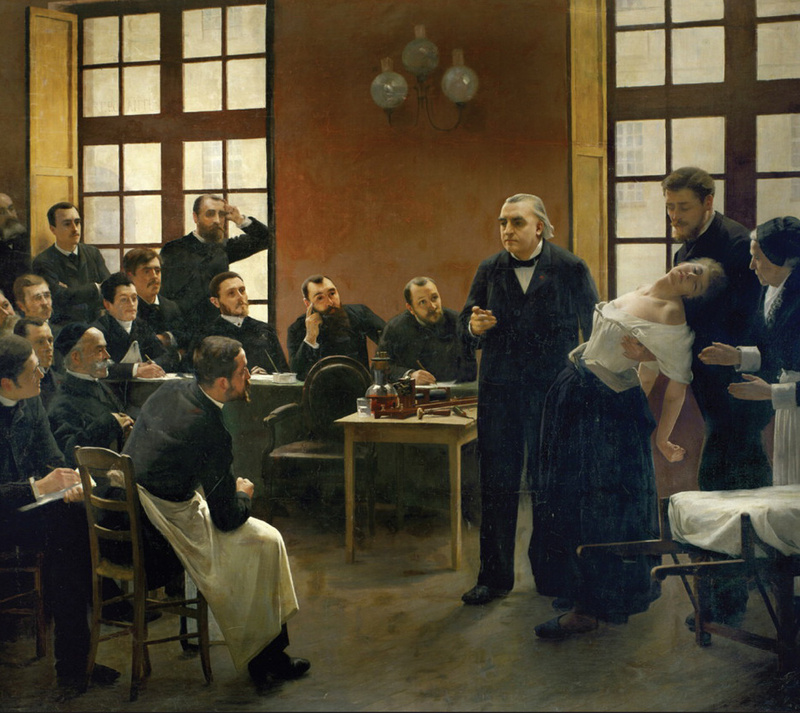 This painting, which Sigmund Freud took back with him to Vienna following studies with Jean Martin Charcot, shows Charcot (to the right of the hypnotized woman), pioneer of neurology at the hospital ‘la Salpetriere’ in Paris. Take a nap with certain sound clips playing softly, and emerge a better person? Seems too good to be true… But we have just read about a quick-fix for sexist and racist bias built around a 90 minute nap. While sleep-learning has sometimes been portrayed as brainwashing, the process we're describing may be closer to brain-cleaning. In a study published in this week's Science, Xiaoqing Hu, a postdoctoral fellow in the Social Cognition Lab at the University of Texas, Austin, and colleagues attempted to reduce sexist or racist bias by presenting an image of a women, or a black person, paired with a counter-stereotypical word. Subjects were asked to press a button only if the face was paired with a science-relevant word or a positive word. If they got the right answer quickly enough, they heard a sound when they pressed the button. Tests afterward revealed that this conditioning reduced bias. But here's the crazy part: Each subject took a 90 minute nap, and when they got into a deep sleep, they heard one of the sounds from the conditioning, on average, 258 times. The same specificity applied to changes in racial bias. Implicit social bias can be reduced if sleep is used to reinforce a learned reduction in bias. A: Psychologists encouraged the participants to counter implicit bias by matching a "counterbiased" pair (for example, the face of a woman and the word "math"), followed by sound feedback. No sound feedback occurred if the participant selected the "biased" match, or if the “counterbias" match was too slow. B: Training included drag-and-drop exercise to match a face with the "counterbiased" word, with the same sound feedback as before. C: This sound was then repeated during the participants’ 90-minute nap to reactivate the memory formed during the counterbias training, leaving a lasting impression (D). Rollover image to a bar graph with error bars showing that playing the sound cue during the nap significantly reduced bias, even one week later. Not playing the sound during the nap led to a rise in bias after the nap. What follows is an edited version of our conversation with Hu. Q: What is it about slow-wave sleep that makes this process work? A: There are different stage of sleep: light, REM (rapid eye movement) and slow wave -- a deep sleep where the electroencephalograph shows very deep, slow oscillations. There is a lot of evidence that episodic memories -- memories of events -- are consolidated during slow wave. When a memory comes in, it's encoded in the hippocampus, but this is not stable. During slow wave sleep, the memory is transferred to the nearby neocortex, where storage is more stable. Evidence suggests that what is special about deep sleep is that these different brain regions start talking to each other, so memory can be consolidated. Q: Is sleep necessary to the bias reduction? A: We show that the initial session -- before the nap -- does counter the bias, so it's not just that sleep can help with learning or unlearning something unwanted. But the nap greatly strengthened the process. Without it, the change essentially vanished after a week. Q: What was the role of the sound playback during sleep? 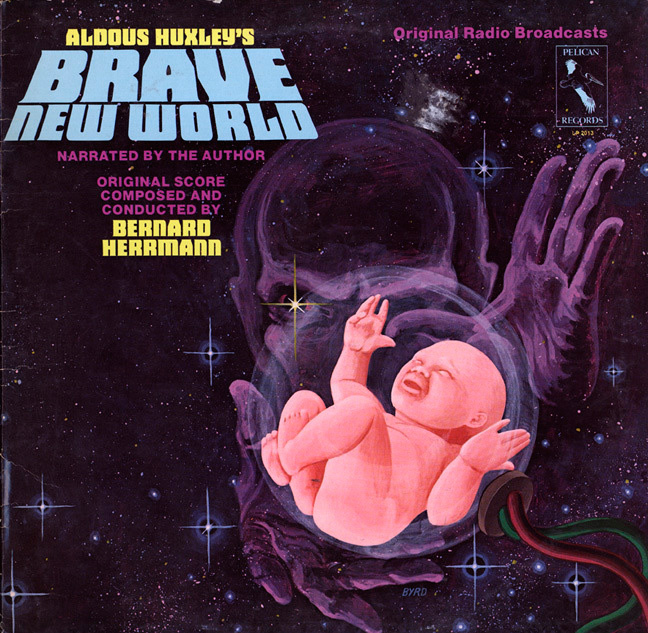 Q: Would people agree to be reprogrammed with a method that's sometimes presented in movies as brainwashing, even if the goals socially acceptable? A: This was done in the lab. People may not be able to use this directly in real life, but the principle here is that during sleep, you can reactivate learning that you want to consolidate. We can rehearse something that is important to us. If you think about an important memory and rehearse it before sleep, it's likely to be reactivated during sleep, that's been shown by previous research, and so the basic principle is still the same. Q: Where else would this technique be used? A: We can speculate it would be great while studying to play a sound in the background to create an association between the sound and learning. When you fall asleep, you could play that sound over and over. That may be helpful, but we need more data to know for sure. It might work with other types of unwanted bias, related to disability or sexuality. You could think of fear as a kind of unwanted memory, and there are other studies that have shown a reduction in fear during sleep. Q: Are you weakening the original learning (the implicit bias) or strengthening a new learning (the association with positive thoughts)? Is this unlearning or learning? A: Good question. I don't think our study can answer that one way or the other. Maybe it's some of both. By consolidating the new attitude or memory, that creates competition between it and the old attitude, so the old attitude will be weakened.